Summer is here and so is the season of mangoes and mango desserts. While most of us would prefer hiding indoors from the heat, there are a few who prefer to cycle and relish some of our favourite mango desserts. Who doesn’t love enjoying their favourite summer fruit in a new form? And if you are one of those, here are a few places to go cycling and enjoy your favourite mango desserts! 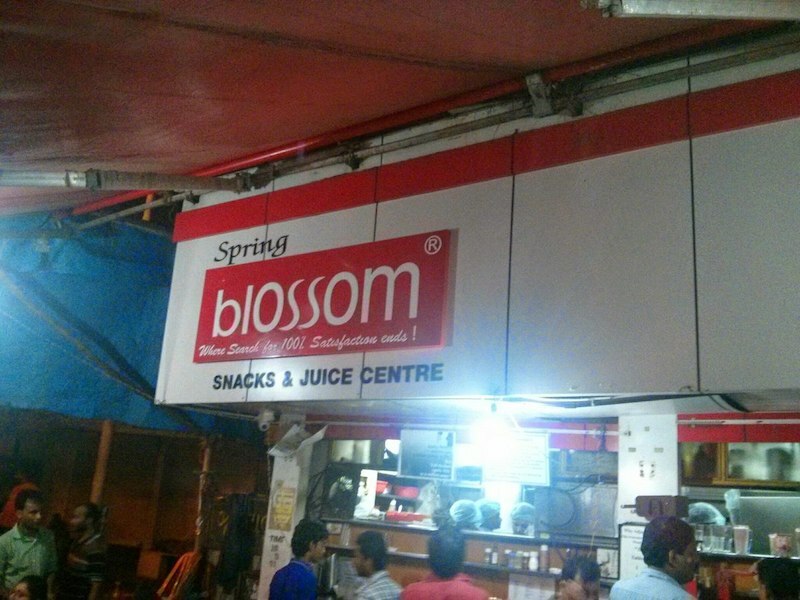 If you’re cruising on your bike around the Haji Ali- Worli, we are sure you have all spotted this iconic juice centre. For those who aren’t aware, this place is right outside the Haji Ali Dargah’s entrance. Right from those quick snack bites to your favourite fruit juices, this place never fails to disappoint anyone. Haji Ali Juice Center is best known for its fresh cream and fruit combinations and of course, the mango and fresh cream combined with the equally tasty milkshake is something you should definitely go for! 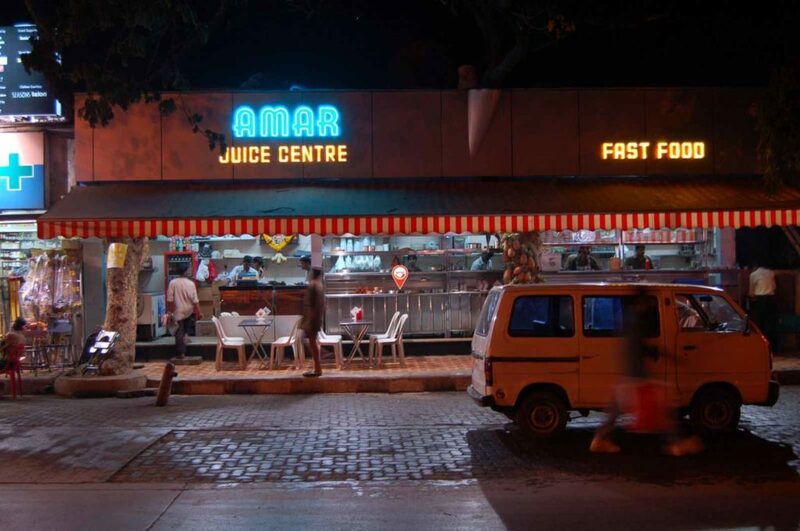 Another local landmark to go cycling in Mumbai and enjoy a glass of favourite mango milkshake is Amar Juice Centre. Yes, the milk-shake is absolutely what you need to quench your summer thirst. The place also serves mouthwatering fresh fruit juices such as watermelon, Ganga Jamuna and Mousambi juice that are quite popular. Amar Juice Centre originally started off in Juhu and today has branched out to several pockets of the town from Girgaon Chowpatty to Andheri East. In case you’re still craving for something more, try the pav bhaji. Apparently, it’s wow! For all you Raseela Aam cycling lovers, Bachelors have a long list of mango based desserts you can choose from. Ranging from the simplest mango ice cream to its milkshakes, to a more indulgent whipped cream and mango combination, Bachelors have got ‘em all! We definitely recommend the whipped cream and mango combination. We are sure you’ll come back to have some more! Ghatkopar is known to be a haven for foodies. Known for its extra cheese loving, the place is also known for its fresh fruit juices and milkshakes. Well, you should definitely try the mango milkshake and the ‘Oops’ drink which mixes together several fruits like grapes, pear, litchi, orange and kiwi. Ice Cream Factory has paired up Shahi Darbar (Royal Court) to bring you the best of desserts. It is relatively a new place that has opened up its various outlets in Mumbai. 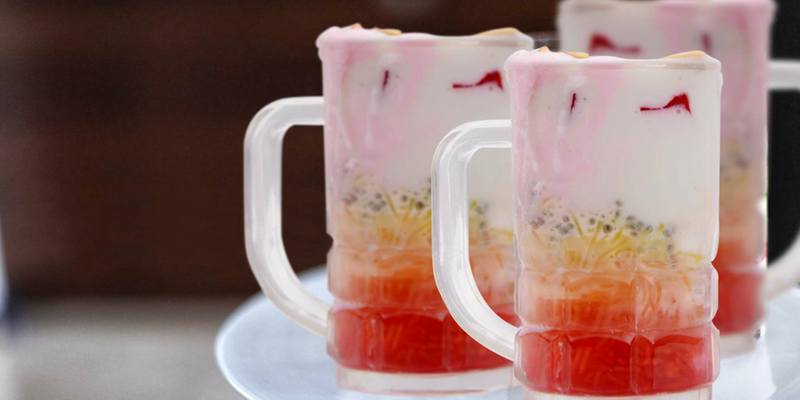 The specialities of the place include kulfis, faloodas, fresh fruit creams, milkshakes, etc. The mango sundae or mango Ice cream with whipped cream is definitely a must try. If you’re thinking of having an ice cream, you should definitely try tropical coconut with mango. It comes in a coconut shell with a scoop of tender coconut ice cream and a scoop of mango ice cream and topped with some chocolate sauce and grated coconut. A renowned juice place that is always crowded, especially during the late evenings is Patil Juice centre. And with the mango season in the trend, this is the right place to be. Patil serves a variety of juices at affordable prices. The place is also known to offer customers with different fruit Juice named after Bollywood Movies like Dabang 2,Bhaubali, Chennai express, Kabhi Khushi Kabhi Ghum and so on. Looking for a place to have some fresh juice near Mumbai central? Head to Bombay central juice centre which is located right below Nathani Heights(Mumbai Central station). The venue offers a variety of fresh juice as well as some lip-smacking snacks. But if you want to put an end to your mango cravings, do try the Mango Anjeer! Having listed a few places, trust us, it’s genuinely difficult to choose the best among these as none of them will leave you disappointed. With the current soaring temperatures across Mumbai, we hope you keep yourself hydrated and refreshed not just while you ride, but also during your travel to work, college or school. 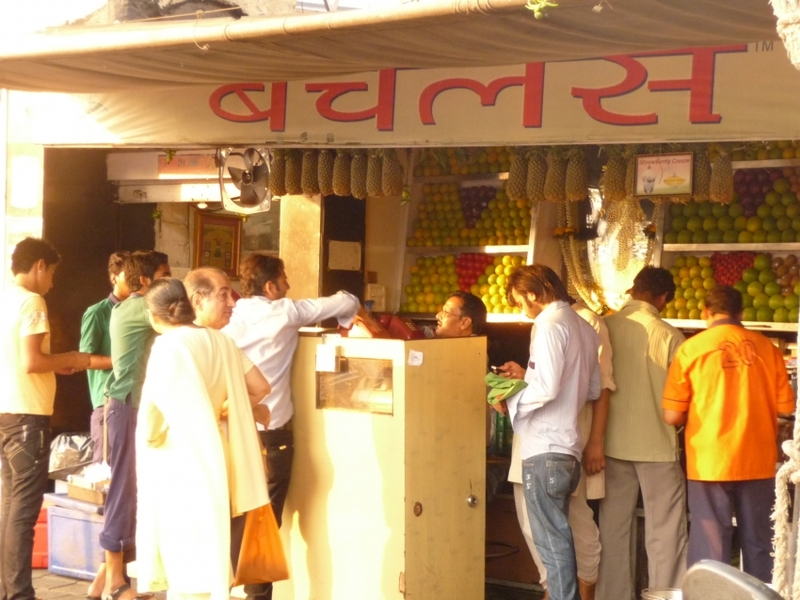 Lastly, if you’ve cycled in Mumbai and discovered some interesting places for our mango lovers, we’re all ears! DM us, comment below or email us NOW!